We were pleased from the start. The members of staff arrived on time, they were professional and did a good job. The engineer fitting the boiler worked very hard, especially as it was a really hot day. Cleaned up any mess made. Any rubbish was removed. 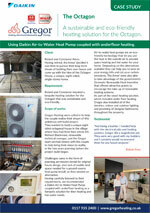 Installation of a Daikin air-to-water heat pump and underfloor heating in a unique self-build project. 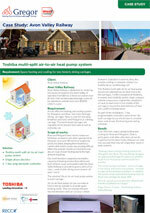 Installation of a Toshiba multi-split heat pump system in two historic railway carriages. 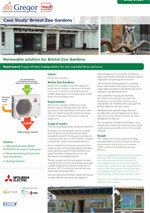 Case study: Bristol Zoo Gardens. Installation of a Mitsubishi air-to-water heat pump, perimeter heating system and heating controls. Installation of Mitsubishi split heat pump systems in innovative accommodation from a leading Bristol Charity.